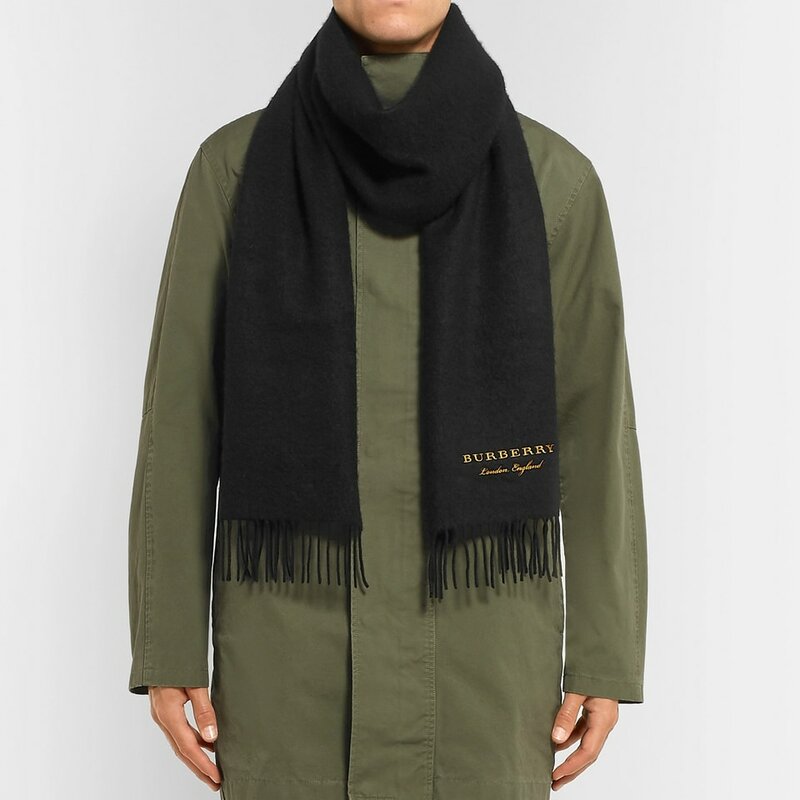 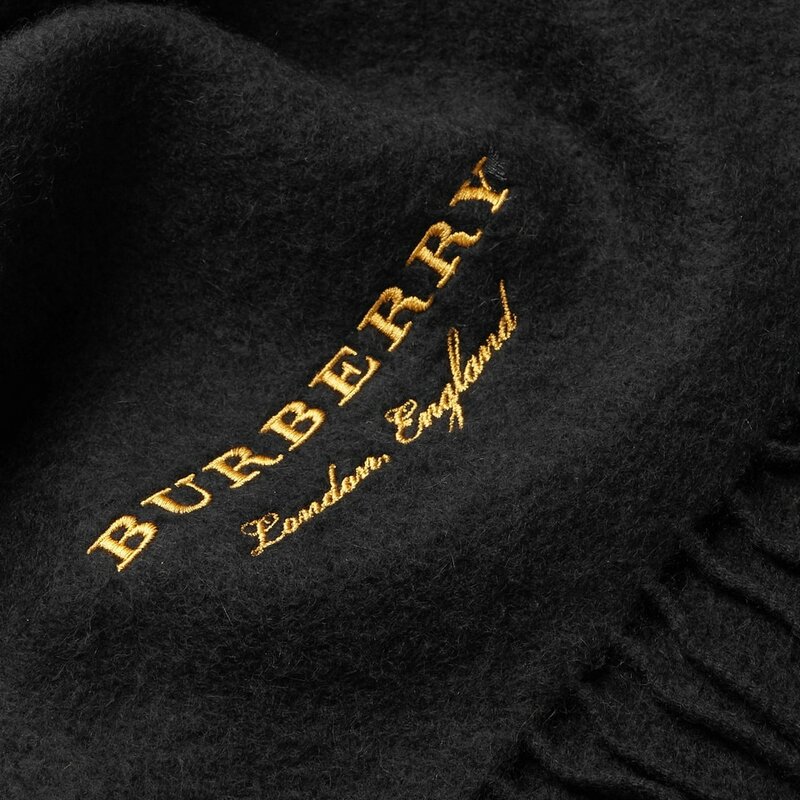 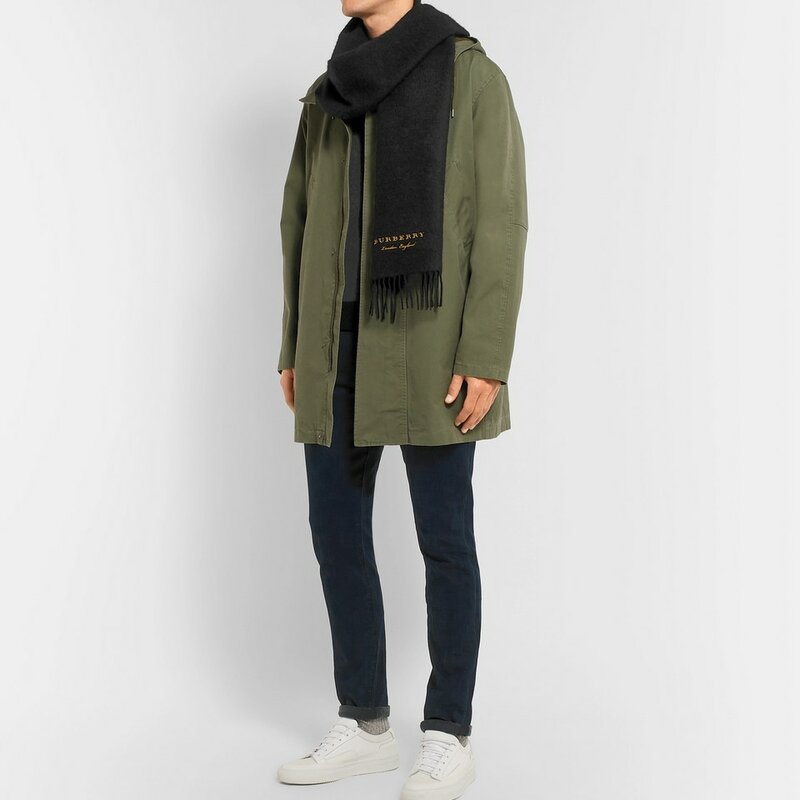 Besides the brand’s trench coat, Burberry’s scarf is also a true classic. 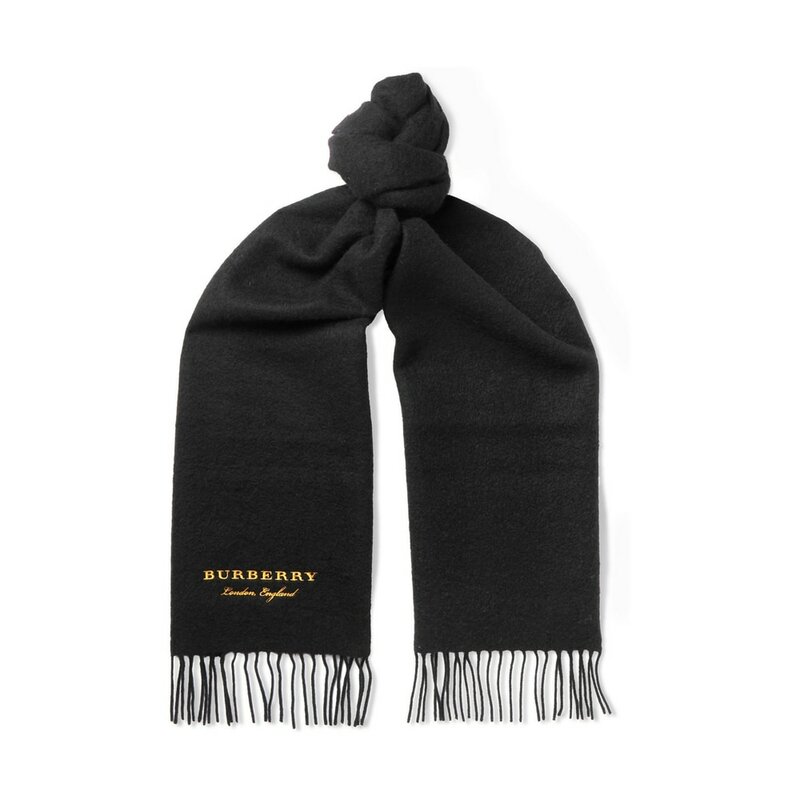 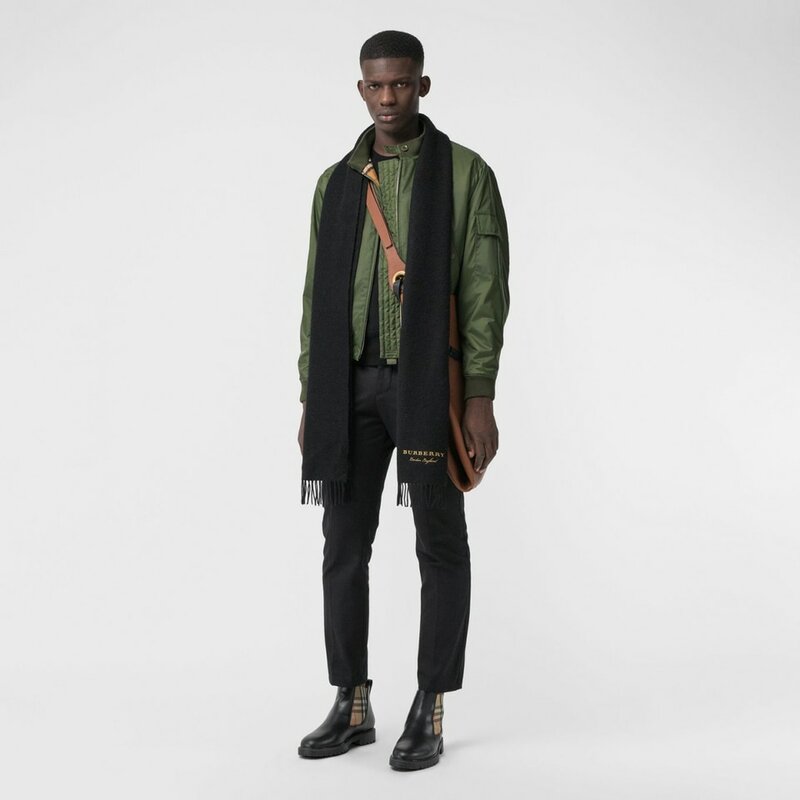 Featuring minimal branding with gold embroidered “Burberry” lettering, this 100% cashmere long scarf is for men who prefer understated classy style. 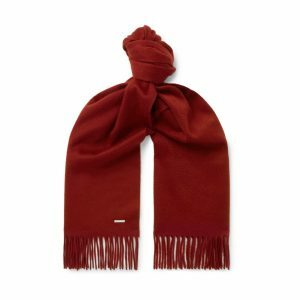 The scarf is made in Italy.